Hurricane season officially begins this week, and emergency responders have been urging Mississippians to get ready. Today, MPB’s Evelina Burnett looks at how preparedness on the Mississippi coast has changed in the decade since Hurricane Katrina. It was the door in the western bay of Fire Station No. 1 in Pass Christian that eventually gave way as the wind and water pounded the steel frame building on August 29, 2005. "We had a rescue truck parked up against it, and an engine parked up against that, all bracing that door. But it just got beat up by the wind so much that the panels eventually just broke and the water came rushing through," recalls Pass Christian Fire Chief Dwight Gordon. He was an acting lieutenant on that Monday morning when Hurricane Katrina roared on shore. Three-and-a-half feet of water filled the station, inundating all of the city's rescue vehicles and fire trucks. As the water receded, and the winds died down, the firefighters headed out to assess the damage. Outside, the Mississippi coast had been flattened. Most of the infrastructure, including virtually every communication system, was gone. "Tuesday morning when we set out to go on the tracks to get to the west end of town, once we were basically out of line of sight of the station, we had no communications," he says. That same day, the state’s emergency management director, Robert Latham, came down to the coast and experienced something similar. "I remember getting here on Tuesday and not really understanding what was happening in Hancock County - I knew it was bad, but I didn't know how bad," he recalls. "So we'd write the questions that we needed answers to on a notecard. I'd put somebody in a car and say, drive to Hancock County and get the answers to these questions. That's how we were communicating." Now, nearly ten years later, a lot has changed on the Mississippi coast. Emergency officials hope many of these changes will make life safer in the event of another major hurricane. Preparedness now involves more contingency plans, back-up systems, and stronger and higher buildings and infrastructure. 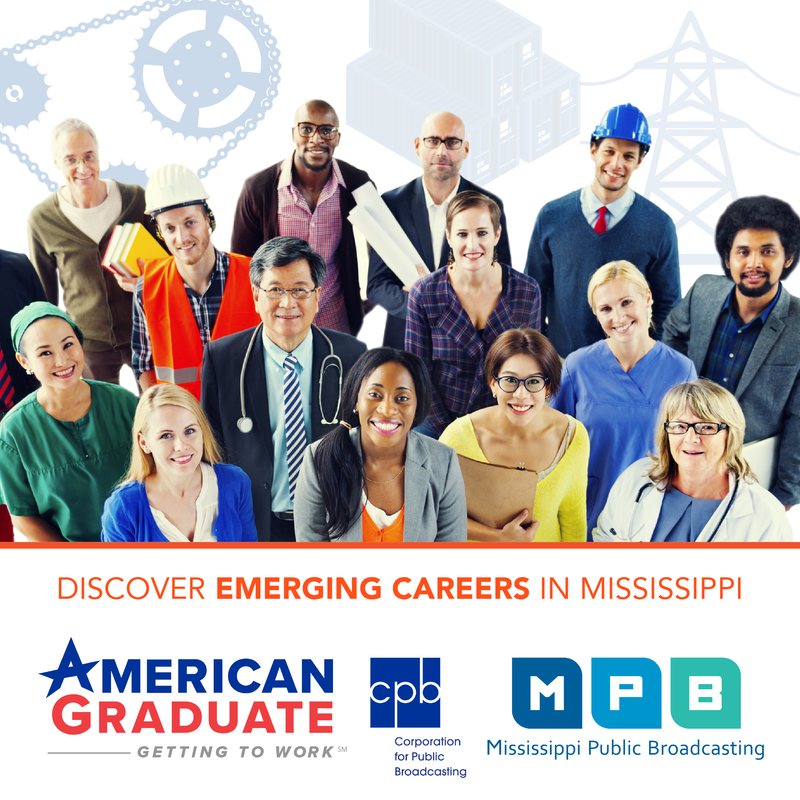 A new $300 million statewide radio system - the Mississippi Wireless Information Network - is one example. "Now, sitting here on the Mississippi Gulf Coast, I can take my walkie talkie that's on the system, key it up and talk to someone in Desoto County," he says. "And that's statewide." Latham says the system is redundant and built to withstand hurricanes. "If you take a tower out, it has redundancies so that another tower picks up the coverage, and the Wireless Communication Commission has portable towers they can bring in and set up," he says. "So communication has improved tremendously. We've got a system that we will survive and enable us to communicate." Local agencies have also taken steps to beef up their infrastructure. Harrison County, for example, was able to communicate on its radio system after Katrina but had some radio towers go down. It’s taken steps to prevent that by lifting the power sources on some towers to prevent flooding. 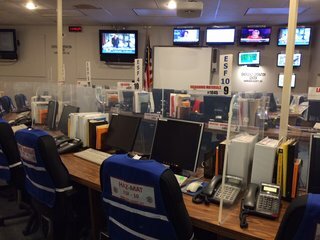 "We have communications via landlines, radio communications through the MS-WIN system, the Harrison County system, and then the amateur radio net," Harrison County emergency Management director Rupert Lacy describes the multiple communications systems available in the county’s emergency operations center. Since Katrina, the county has also expanded the back-up power in the county courthouse where the center is located. "We've always had an emergency generator, but it would always just do this area and then some other limited area in the courthouse," he says. "We have now where the generator will run the whole courthouse, and post-Katrina we had to use the whole courthouse." The county now has also built in back-up systems for air conditioning and the weather satellite system. There’s also a back-up plan in case the sewage system goes out, like it did during Katrina when at one point the county had 25,000 portalets on the ground. If this happens again, the county now also has 5,000 personal relief bags that it can use until portalets are in place. "Even though we have two generators, we still have battery-light backup in here now," Lacy says. "We did not have that - during Katrina, the generator stopped working and it got dark in here pretty quick." In the decade since Katrina, the state has built 83 new emergency shelters. Mississippi Emergency Management Agency Director Robert Latham says the state has also taken precautions to back-up one of the biggest gaps after Katrina – getting supplies like food, water and fuel to the coast quickly. "We couldn't get the food, the water, the critical resources into the area. The federal logistics system, the FEMA system, that we relied heavily on to get the food and the water here - it just collapsed," Latham recalls. "It was horrible." Latham says it took 15 days after the storm before the state was finally getting enough supplies. "Up until that point, we were getting about 15% to 17% every day of what we needed," he says. "So we were rationing food and water and gas. "There were days we had to decide who gets water today and who doesn't. I mean, this is a country where those kinds of decisions should not have to be made." Latham says the state and local governments now have their own private contracts for supplies that can be executed quickly in case the federal system is delayed again. "Now we have contracts in place at the state level, at the local level," he says. "We certainly count on our federal partners to be able to bring those commodities - I think you won't see that again where it fails. But we have a system in place too just in case. In fact, we can execute our contracts quickly, get our stuff, and then by the time that we start running out or low, the federal goverment can start rolling in to backfill it." 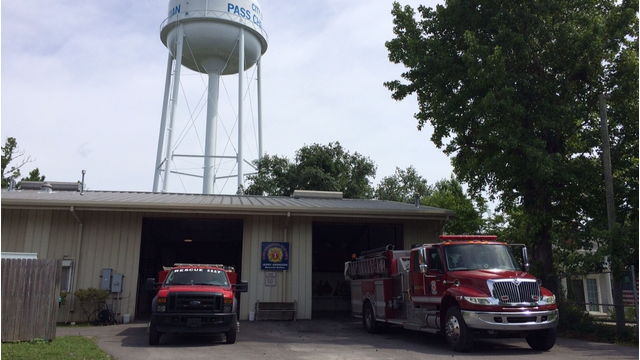 In Pass Christian, a new police station and emergency operations center was built several years ago on some of the highest land in town. Fire Chief Gordon says the city also now has many more generators and multiple communications systems, including radios, push-to-talk and cell phones, and even satellite phones that can be rented if necessary. "We have the backup plan, and if we can come up with it or plan for it, we try to have a backup plan for the backup plan," he says. "If we have money, we try to have backup equipment for the backup equipment." Still, Gordon says they continue to train for all contingencies, including loss of communications because, as in Katrina, you never know what the next storm will bring. "Our best resources are our people," he says. "If you train them, get them ready to respond, trust that they're going to do everything the best that they can - that's where you're going to come out the best." Hurricane season runs now through November 30.